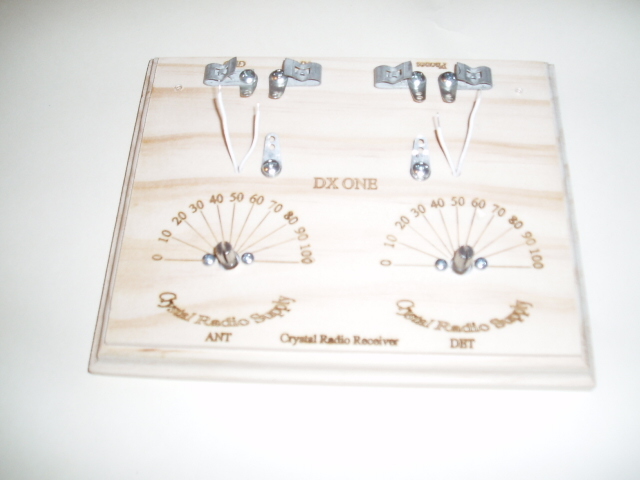 After many request for a "Better Beginners Kit" I am offering MODEL DX ONE to the Crystal Radio Supply line of crystal sets. Ease of assemble, price, and of course performance were all important when designing this set. The DX ONE is built on the same format that is popular with many of crystal radios best DX contest operators. It is double tuned and loose coupled. To deliver performance not normaly found in single tuned units. The distance between the two coils can be adjusted greatly increasing the performance. Even though it has a low price tag the DX ONE packs a lot of performance and features . 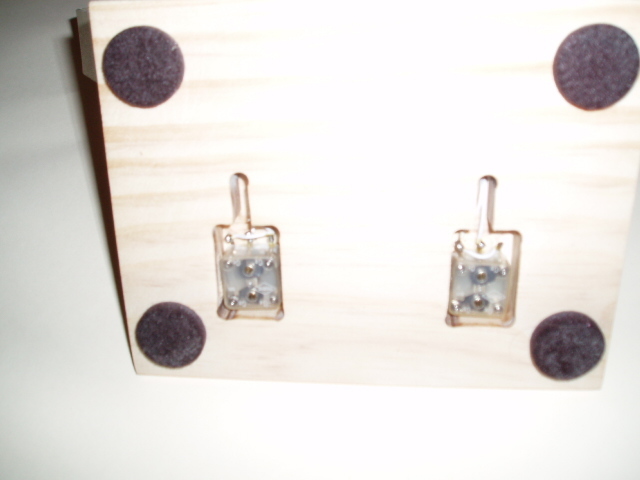 With this set and a good antenna you can expect to receive stations hundreds of miles away. The DX one in built on fully routed select grade pine base that has been engrave with Dial Scales and all necessary labeling. The pre-wound custom coils come coated with polyurethane for long life. High impact R21 ABS is used for the coil rod support brackets. Easy step by step assembly instructions. 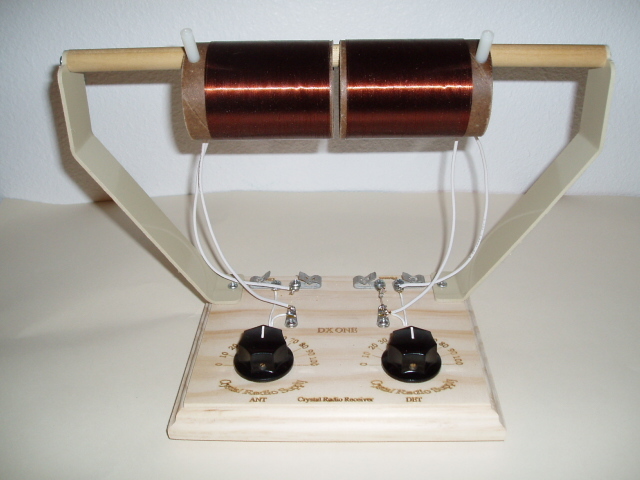 All you will need to get this set up and running is a good earth ground and crystal radio antenna. This is a beautiful set that measures about 12 inches wide by 8 inches tall and 5 1/2 inches deep. Final sanding and finishing required. 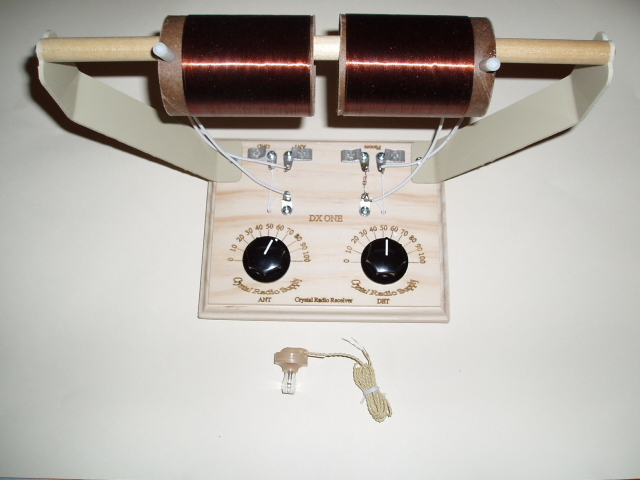 The DX ONE is sure to get that budding crystal radio enthusiast of to a good start with a good impression of the crystal radio hobby.